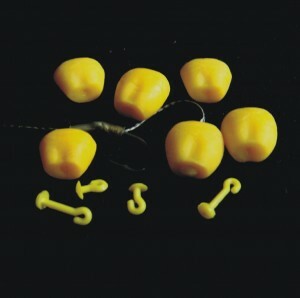 Enterprise Tackle ET13YIS Imitation Sweetcorn (Slow Sinking). Designed to mimic a free offering when fished alone, this corn can also be combined with real corn adding natural attraction. 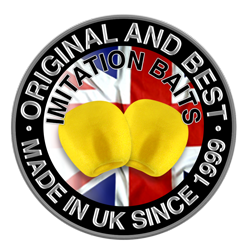 Use for carp, tench, bream etc, either side hooked or hair rigged using the special hair stops. As well as being suitable for specimen carp, this is the ideal corn to use for tageting commercial carp and shy biting fish due to it’s soft texture.